Germany is a tough one to get around. Argentina falls into a bad recession, you can get by believing that’s not particularly unusual or interesting. If its neighbor Brazil becomes shaky, you can still chalk it up to EM volatility. Italy is Europe’s perpetual basket case. China’s a little more difficult, but still, that country has its own unique problems. When Germany stumbles, that’s the rest of the world doing it first. German contraction is itself a reaction to problems everywhere else. In other words, when you start to realize it isn’t Argentina or Brazil or Italy or China, it is rather Argentina plus Brazil plus Italy plus China then Germany, too, you have to start to consider the possibility that something big is happening. German factory orders dropped by 10.8% year-over-year (unadjusted) in the final month of 2018, according to estimates from DeStatis released today. 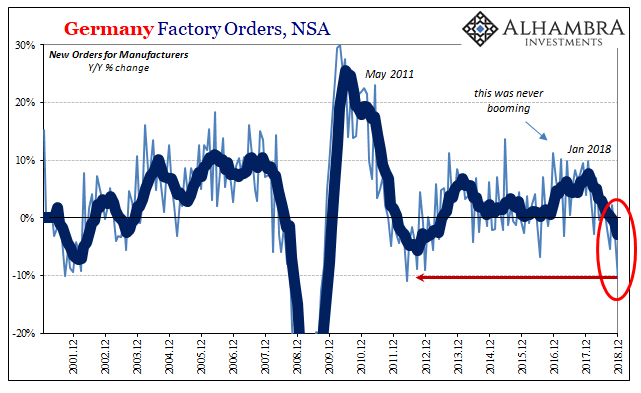 Everything I just wrote about US trade and how it starts to piece together the market action for December goes doubly for Germany’s manufacturing recession in that very month. It is a recession. This kind of decline you just don’t find outside of one. The last time German production was beset by this level of obloquy was May 2012, the worst month of Europe’s last overall contraction. Minus eleven percent is equivalent to October 2008. The emissions thing, European drought, all those excuses were supposed to add up to a temporary, minor disruption. 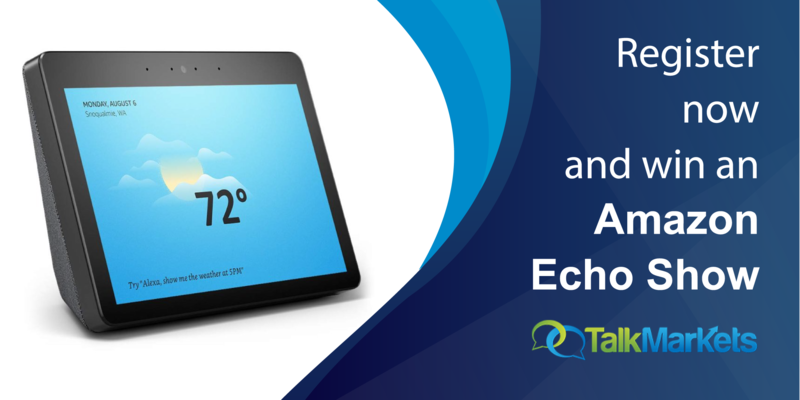 Instead, as each month passes that disruption gets bigger and seems more protracted. 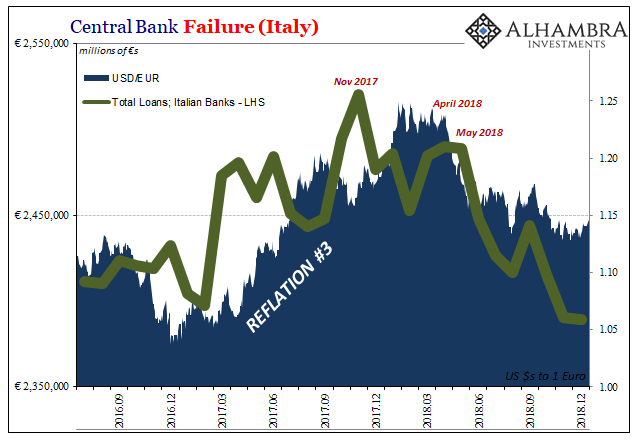 Italy as a whole is already in recession. 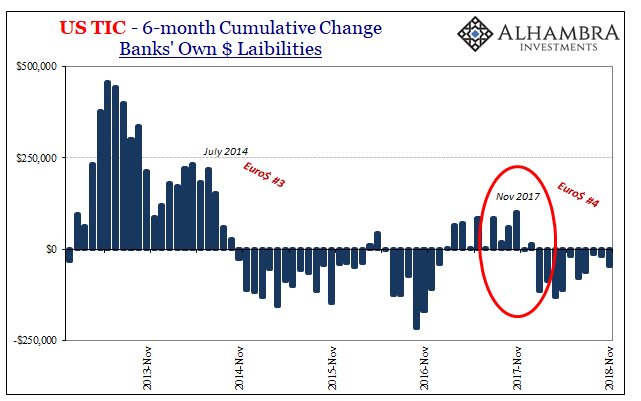 Mario Draghi will never say that word because he just ended QE and central bankers don’t know what else to do so they’ll keep QE in reserve even though this just proved without any doubt it didn’t work. 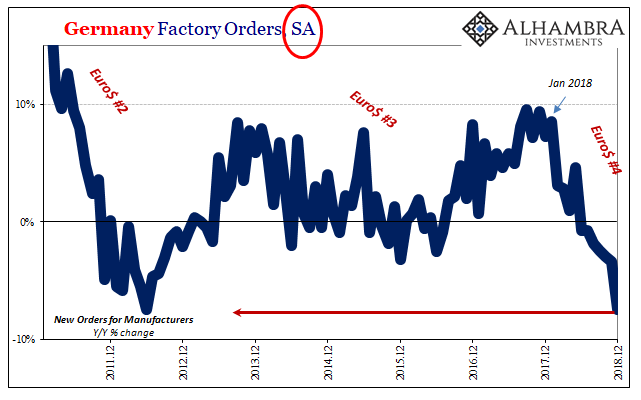 With German manufacturing in this kind of shape, and orders are forward-looking, what does that say about the global economy right now? As per the eurodollar futures curve, what would make Jay Powell turn around 180 degrees and cut rates this year? German factories at minus eleven before even getting to this year gives you an idea.